Eyes are important indicators of overall health, and comprehensive eye care goes beyond a prescription for glasses or contact lenses. At Ancaster Family Eyecare, we take the time to get to know you, your eye care history, and your vision needs. 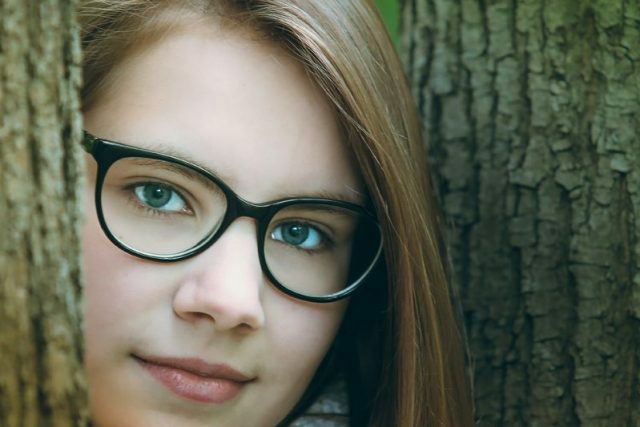 Our Ancaster optometrists provide the expert care, advice, options, and follow up with your needs whether you are a new patient or an existing one. Our team of eye doctors and eye care staff are here to care for all of your vision needs. We handle everything from adult and children’s eye exams and hard-to-fit contact lenses to eye emergencies, treatment of eye diseases and co-management of eye surgery such as LASIK. Come to Visit us at Ancaster Eye Clinic Today! 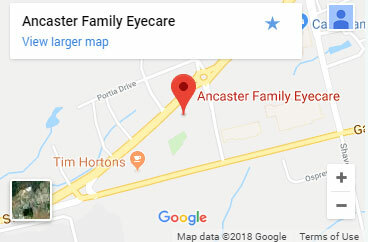 Ancaster Family Eyecare serves Hamilton and the surrounding areas of Brantford, Oshweken, and Caledonia ― schedule an appointment with our talented and dedicated staff today. 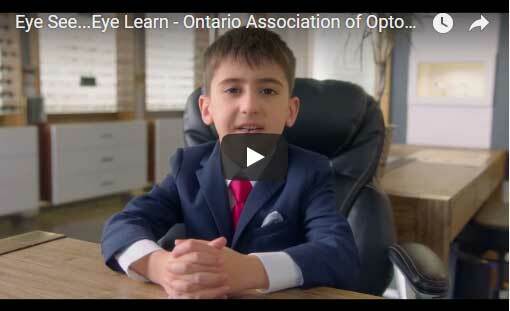 Myopia control prevents risk of eye disease, and can slow down or stop the progression of myopia in children. Scleral lenses are a comfortable option for those suffering from severe dry eye, keratoconus and other eye conditions. 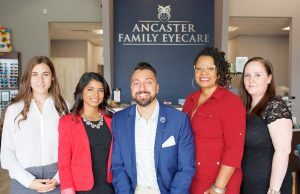 Great team of staff at Ancaster Family Eyecare. They have been great with my kids and my eyecare needs. Have been a seeing Dr Singh for a long time, way back in the days of his being in Brantford. Good people, friendly and helpful, highly recommend them. Absolutely wonderful customer service from the staff and owners. We always feel welcome and supported in our purchasing decisions there. You will never feel pushed here and there’s a Keurig while you wait! I very much enjoyed my visit to Ancaster Family Eyecare today. I was a few minutes late so they brought me right in and took care of the paperwork afterward. Dr, Maharaj was pleasant, thorough and took the time to explain all of the tests, my results and answer my questions. The reception staff greeted you by name throughout the visit and everything that was done was very professional, clean and efficient. This is the opposite experience that I had with another Eye Clinic in Ancaster. Highly recommend!!!! 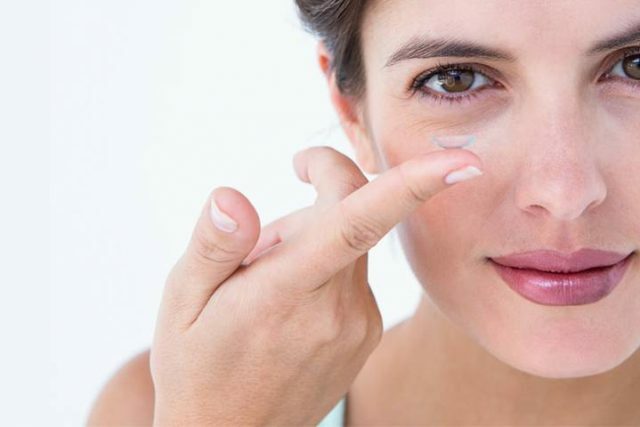 Most patients are able to wear contact lenses as long as they are evaluated and fit properly by one of our doctors. Contacts are a medical device and a proper fit and evaluation is critical to ensure your eye health is not affected by contact lens wear. A doctor of optometry is the best source for this type of evaluation. Contacts can now correct nearsightedness, farsightedness, astigmatism and can even come in a bifocal/multifocal prescription! For success with contact lenses the patient needs to be motivated to wear contacts. At our office, we offer an extensive training and fitting program with contact lenses to ensure the patient is given all the tools needed to succeed! Check out our Eyewear Packages! For special office hours, click here.